The planner is being sold by Amy on her Etsy store, Magic Hollow. Clicking on the “Buy Planner” Button will take you out of the Christopherus bookstore and directly to Amy’s shop. 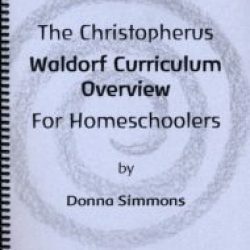 For years homeschooling parents using our Christopherus Syllabi have been asking for a planner and now we have one for you. 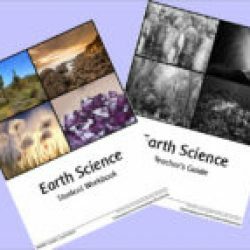 With the help of Barbara Benson and Christopherus’ Homeschool Journey readers (Thank You!!!) 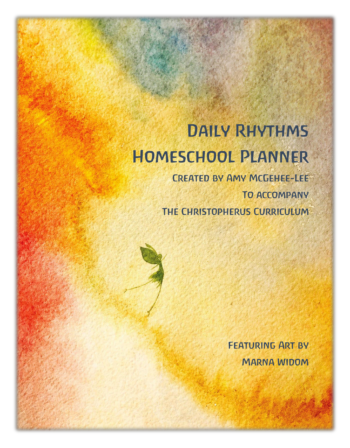 , Amy McGehee-Lee, homeschooling mom and owner of, Magic Hollow Etsy shop specializing in homeschool planners, has designed a planner that is uniquely tailored to be used with the Christopherus curriculum. 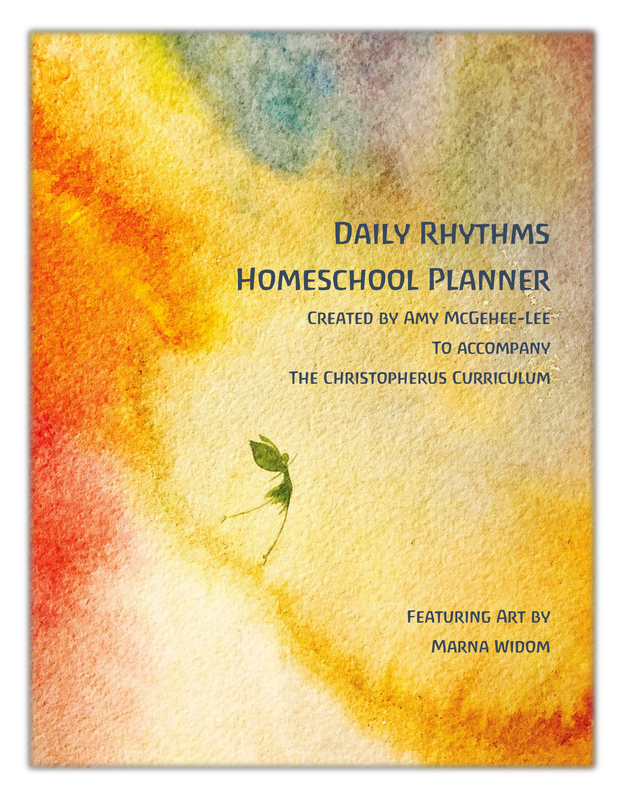 It is an open ended tool for parents to use to organize and plan out their family’s homeschool year. The complete planner comes to you as a .pdf so that you can pick and choose to print what you want to include in your personalized planner. Practical Planning Section – This is the how to section of the planner. 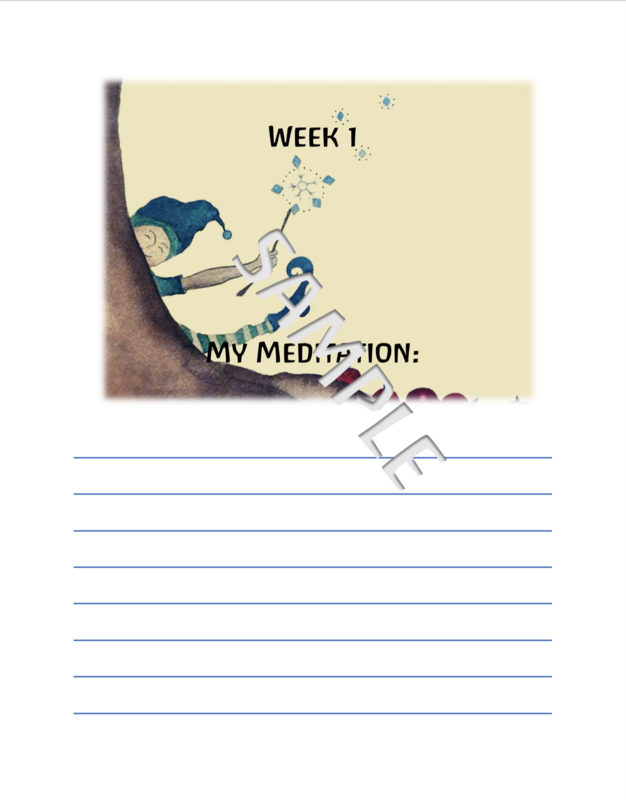 Imagining Your Year Section – This is the section that allows you to begin laying out your year in a very simple and straightforward way. An efficient system for listing all of your resources for each block and lesson. The months August 2017 – July 2018 (a whole year) broken down into the weeks within each month. 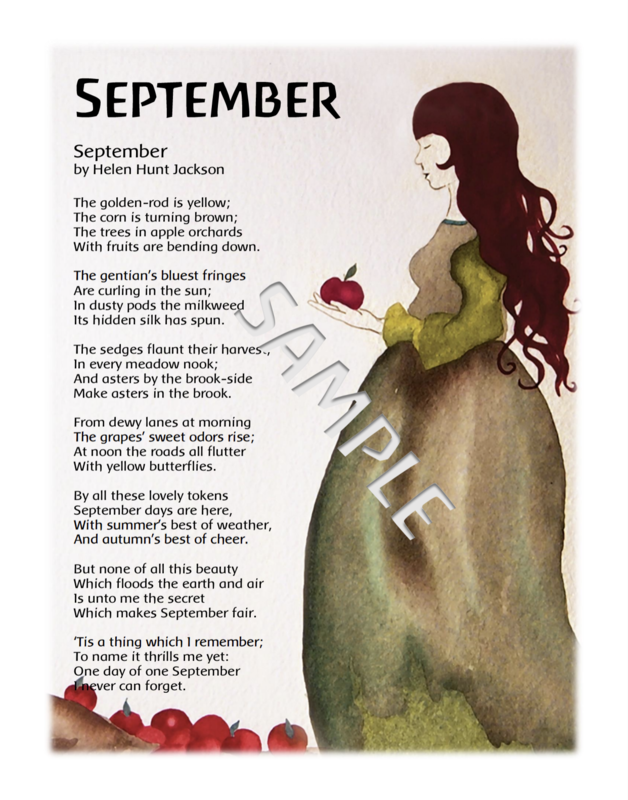 a monthly calendar with plenty of space to pencil-in your own appointments, birthdays, playdates, etc. A place to keep ongoing lists and ideas that you may not need right now, but want to remember for the future. The planner is designed to be printed with ease; looks beautiful in black and white or color; print month by month or all at once, it’s up to you. Hourly planning page – I have reduced the number of pages of the planner by eliminating the default five days a week of hourly planning pages. However, it is there if you need it! 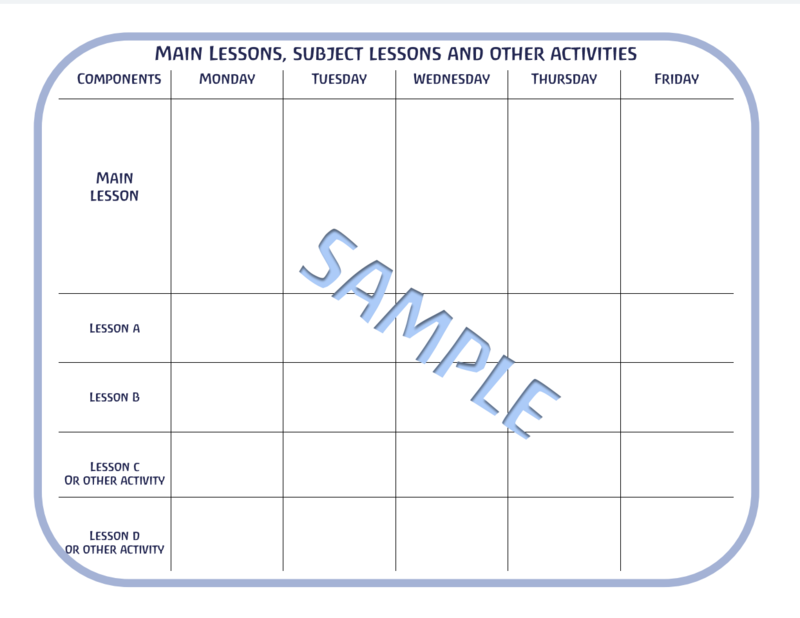 You may print and insert as many daily planning pages as you need. 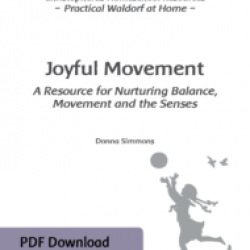 They can help you find calm even on the days where it seems there is an endless to-do list. Grocery list – organized by sections of the store; you will ask yourself how you ever shopped without it; print as many copies as you like. 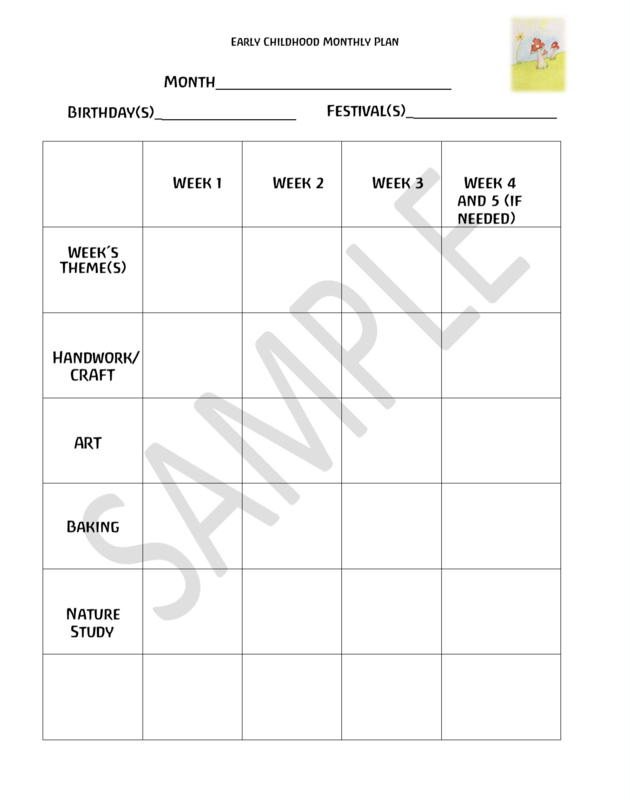 Early Childhood Monthly Planning Page – If you have a child that is not in the grades yet, this can be nice to use as you plan activities specifically for their enjoyment and developmental enrichment.